Rihanna premiered the music video for the song Disturbia which features on the re-issue of her third album, titled “Good Girl Gone Bad: Reloaded.” The single was released to radio on June 17, 2008. 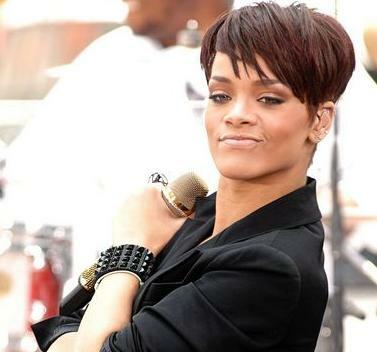 “Disturbia” was co-written by Rihanna’s unacknowledged boyfriend Chris Brown and features background vocals by him. It has been directed by David LaChapelle (Christina Aguilera’s “Dirrty”). Meanwhile, Barbadian singer Rihanna looked cheerful after eating dinner with her friends at her favorite restaurant, Da Silvano, in New York City, on Monday, June 16. She had reasons to be happy, and not just because she is a 20-year-old outstanding singer who is almost in love with Chris Brown, but also because she walked away with two trophies at the 2008 MuchMusic Video Awards held at the Chum/City Building on Sunday in Toronto, Canada – Most Watched Video for “Umbrella” and Best International Video for “Don’t Stop the Music”. She also performed her new single “Take a Bow”, at the event. Rihanna is all set to start work on her fourth studio album, which will be released either this year or the top of next year. Also on the cards is her big screen debut in “Mama Black Widow”, an adaptation of the similarly named 1969 novel by Robert “Iceberg Slim” Beck, in which she plays Carol, the troubled and tragic sister of Otis Tlison.